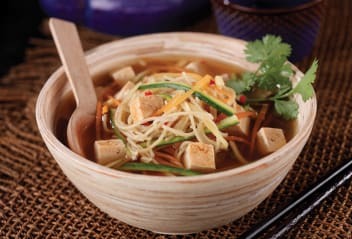 This quick and easy vegan Chinese-style soup takes only minutes to prepare so perfect for lunch or dinner. It also makes a lovely addition to a Chinese New Year menu and is the perfect appetiser to any celebration meal. 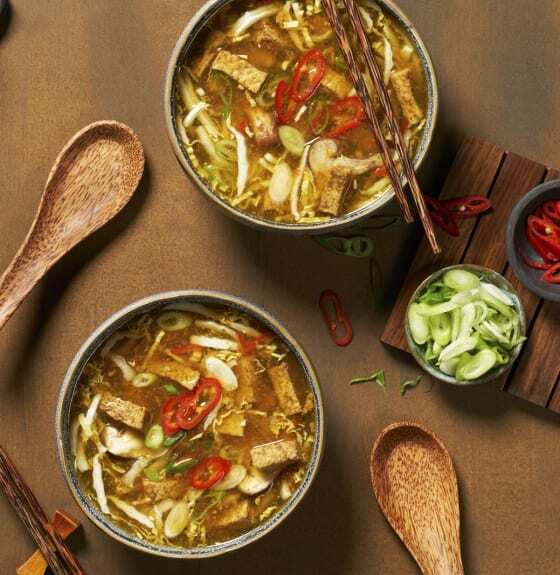 Combine the stock, vinegar, soy sauce, half the chillies, sugar, garlic, ginger and sesame oil in a medium saucepan, then bring to a simmer. 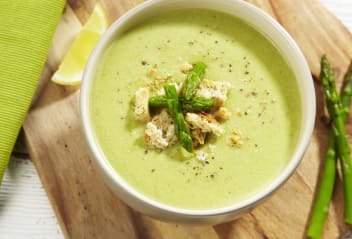 Reduce the heat to medium low, then gently simmer for 5 minutes or until fragrant. Stir in the tofu and cabbage, and cook for 3 to 5 minutes or until heated through. Divide among 4 bowls. Garnish with the spring onions and remaining chilli. Add 125 g stemmed and thinly sliced shiitake mushrooms to the soup when you add the cabbage, if desired. 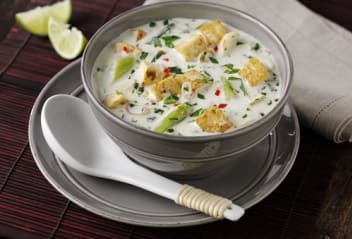 Blog recipe competition winner Gill Poole, has kindly donated this light and fragrant Thai Soup recipe for us to share. It looks amazing and tastes divine.